Dollar Tree stores got nailed in california for illegally disposing of solid waste in their trash. Bloom the Billion Dollar Tree that Al Gore planted and we all fertilize by giving him and his cronies a billion dollars of taxpayer and ratepayer monies make Dollar Tree look green when it comes to disposing of solid waste in an unauthorized fashion. The North Carolina state EPA is asking Apple questions on the solid waste from the 50 Bloom Coffins they installed in Maiden NC. As of Friday Apple had not responded but the pressure is on for some answers as to the solid waste from the desulfurization bed canisters and the spent fuel cell stacks. Al Gore was dancing at Apple on Earthday. He tweeted to Lisa Jackson the former head of the US EPA who is now the VP of Environmental Affairs at Apple. Pharrell, I love you on the voice and I am sure you had no idea that Apple generates solid waste with sulfur there in Maiden North Carolina so I forgive you for posing with Bog Al and Lisa False Email Jackson for a twitter tweet. 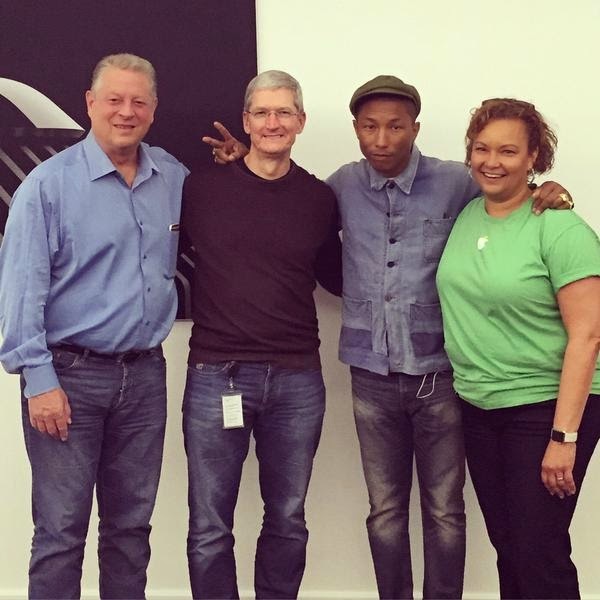 Pharrell the happier planet will be when Bloom and Apple pay a 2.7 billion dollar fine for greenwashing. Earth Day was celebrated this week with a lot of hoopla and fanfare. The real data show the USA is using much more liquid petroleum this year than last. The US DOE energy information agency publishes a weekly petroleum report. Through March 17, 2015 an average of 19,439,000 barrels a day were supplied to market. This is 4.3% higher than the average of 18,647,000 barrels a day that were supplied last year for the same period. So Much for Dr. Moniz and his claims we are on a pathway to lowering CO2 emissions. These data simply prove that when gasoline and fuel is cheaper people use more. In 2012 the year before Dr. Moniz became secretary of entropy the US used on average 18,490,000 barrels a day of petroleum. This increased to 18,961,000 barrels a day in 2013, and 19,035,000 in 2014. Summer usage will increase and we are likely to use approximately 19,600,000 barrels a day for the full year 2015. Of course the fact that Saudi Arabia manipulated the oil market with low oil prices over the last eight months is not Dr. Moniz’s fault but his batting average in lowering CO2 emissions for all three years of him leading the department of entropy is a flat ZERO. I do hope that the next president appoints a talented person to run the DOE and DR. Moniz is simply not cutting it. I had the oil changed on my car this week. I had gone almost 13,000 miles since the last oil change. The car uses fully synthetic oil and I actually think the oil is good for 15,000 miles given that I do not live in a location with extreme weather. The San Francisco Bay Area does not challenge engines with cold or hot weather. The oil at Jiffy Lube is Pennzoil and they had a sign that their synthetic oil is made from Natural Gas. Yes there is a chemical process to turn natural gas into hydrogen and carbon monoxide (syngas) and then turn the syngas into lubrication oil. I therefore cannot be blamed for the increase in liquid petroleum use when the 8.5 quarts in my old Mercedes were sourced from natural gas. I checked the last time I had an oil change it was 27 months ago and it was performed at the Mercedes dealership. I decided to use Jiffy Lube for convenience and price. It turned out not to be that convenient, as half an hour after returning home the manager at Jiffy Lube called to inform me they forgot to install the rubber gasket on the oil filter. I was worried that all the new oil would be all over the ground and the engine. It turns out the C280 engine I have, has the oil filter on the top of the engine and no oil leaked even with the missing gasket. Jiffy Lube reinstalled the gasket and gave me a 50% off coupon for the next oil change. It does not look like my old car will be seeing an oil change at the Mercedes dealership for at least another five years. The Green Machine suggests that all motorists not change their oil every 3,000 miles. 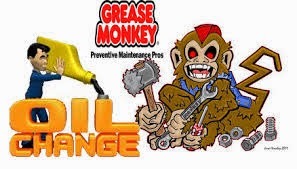 It is simply not necessary but do make sure to ask the grease monkey that they did use a gasket on the oil filter. Sure it can via photosynthesis but at a very slow rate. The reason I got excited and wrote a book on sustainability was the day I realized that the tons of carbon in the entire sugar crop of Cuba (when Cuba was a sugar powerhouse) was less than the carbon emissions from a single coal fired power station that generates 800 megawatts. That day I realized bio fuels were for fools and foolish governments led on by crooked academics and promoters. Some of the very same bio fool Venture Capitalist promoters claimed they could make cement in oceans from CO2 emissions. They foxed Peabody Coal and the US Government to give them money and guess what they could not sequester CO2 in the ocean under natural conditions. Dr. Chu and Dr. Moniz funded power plants that produce a fairly pure CO2 stream and that then sequester the CO2 in oilfields or other underground caverns. These projects turned out to be massively expensive and a waste of taxpayer and ratepayer money. 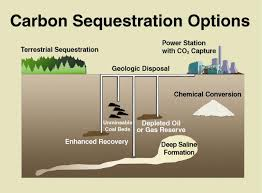 The best way to sequester CO2 is to keep coal unmined and oil less used. Our problem is not the fuel. It is the Brady Bunch lifestyle that has now gone global. The world cannot continue to live like we are living. We need to realize that it is just unsustainable and leading us to disaster after disaster. On earth day we need to resolve to change the way we live rather than think we have the technological solutions to continue the madness. The 120 megawatts of Bloom Fool Cells operating on natural gas emit the carbon that is in approximately 8% of the present sugar crop of Cuba. Cuba now produces 3.2 million metric tons of sugar down from 8 million metric tons in the period before Fidel. Does this mean that Gore is a twelfth as bad as Castro? Actually Al is much worse than Fidel but equally as greedy. The average Cuban only emits 3.4 metric tons of CO2 per year. The average American emits 17.6 metric tons per year. 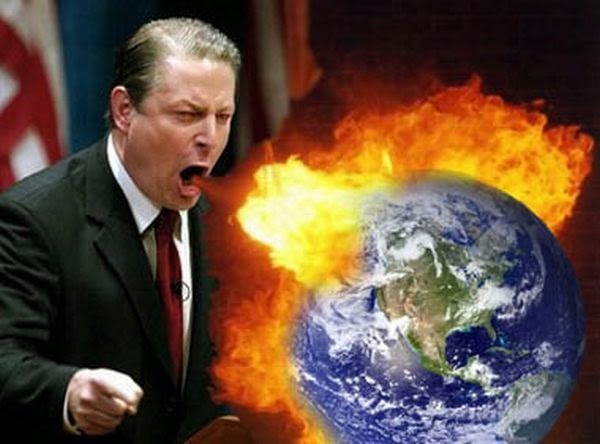 Al Gore probably emits ten times as much as the average American. Bloom is not as sweet as sugar. It is just a way for Al and his cronies like John Doerr and Colin Powell to force the poor and the middle class to subsidize their jet setting lifestyles. Happy Earth Day! Now wake up and smell the roses, those Blooms actually stink of sulfur and our lifestyle and the Complex are killing the planet. How much will Al Gore lie tomorrow when he slices the Apple???? To him "solving" the climate crisis is to make another $100 million greenwashing with Bloom. Does Big Al know about the 108,800 kilowatts of diesel generators at Apple's data center in Maiden NC? Will Maiden actually also hear his talk and can an employee at Maiden ask him or Ms. Jackson about the 15 tons or so of hidden solid waste with sulfur from the 50 Bloom Coffins onsite at Maiden? Sadly the earth needs some major help and Bloom Boxes are not the solution. On Earth Day we should focus our efforts on real technologies that have real results. Go out and buy some LED light bulbs. Walk to the store instead of driving. And of course tune Al Gore out, he is gangrene not green. Of course Apple used the best photo of the "Thinker" when they posted the email that he would give a fireside chat on the state of the planet. They should have used the photo below to promote his talk. This blog needs no words except the guy on the left could be John Doerr or Vinod Khosla although he is kind of looks like Al Gore. Note John Doe with two Rs at the end of his name is John Doerr. But no John Doe is taking any green from the President. Update could be Elon Musk on the left he gave Big Time to Big Ears' victory fund. The mission of Greenexplored dot com is to give lay people the access to scientific truth in the green space. There has been so much hype, lies, fraud, and pure nonsense sold by hucksters, governments, and academics in the green space that scientific truth is very scarce. This is a sad indictment of the academics who are at the pig trough of government funding, governments that are at the pig troughs of the hucksters, and the hucksters who are at the pig troughs of ratepayer and taxpayer funds. We the people fund the nonsense, the thermodynamic lies, and the world continues to pay the price of the whole scam. I have reported on the latest scam in California for grid energy storage. I have reported on the BLOOMDOGGLE. I have reported on the KIOR fraud. I have reported on the Ivanpah and Kemper power generation debacles. 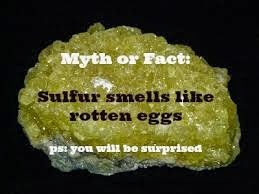 I have reported on the missing sulfur waste in fuel cells that use natural gas as fuel. This blog will cover the need for scientific truth in setting energy policy. We will deal with a mythical state called Deal Away where corruption in rampant and people are ill informed. Sadly Deal Away is not mythical it is real and is Delaware. Once upon a time Deal Away was home to the nation’s leading Chemical companies. Its state university had the highest ranking Chemical Engineering department in the country. It was a leader in science. 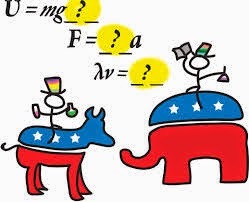 It all changed when the state became a one party state and the ruling party turned to perpetuating its rule by selling itself to the Complex and simply avoiding science. In the 1970s Deal Away led the country in protecting the coastal zone. In 2012 Deal Away led the country in permitting a BLOOMDOGGLE in the coastal zone. 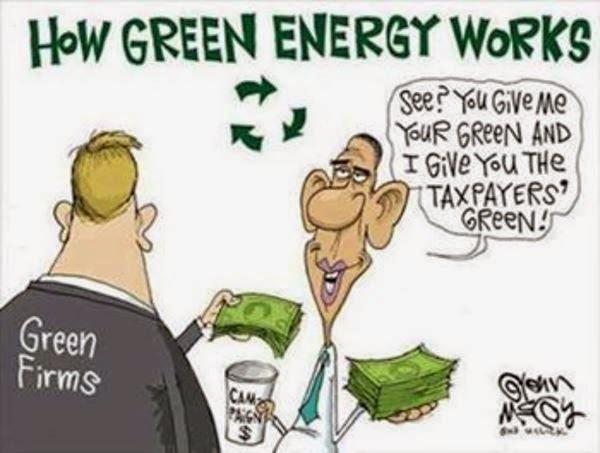 That leading state university became the landlord of the Bloomdogglers and abandoned the laws of thermodynamics simply to perpetuate the myth of affordable, clean, and reliable energy from Fool Cells, when the university knew full well that the devices generate dirty, unreliable and highly unaffordable electricity. Deal Away also hosted a failed plug in car company. Who was the mastermind behind the failed plug in car company and the Bloomdoggle. It was none other than a failed presidential candidate who suddenly thought he was a haricot vert and the green giant. This failed presidential candidate had claimed to invent the internet and now he was sprouting convenient untruth about industries that were “green” and transformative. But the science behind the green technology was actually false and fraudulent. The state university went along for the ride. The Governor who is thermodynamically impaired went along for the ride. The director of economic development went along for the ride. The state DOJ went along for the ride. The Public Service Commission was told to go along with the ride. And the Oxford University trained head of the state EPA lied to make the ride possible. There simply was no scientific truth in any of the bodies that have authority in Deal Away. Sadly the rest of the USA is beginning to resemble Deal Away. The Caliphate of Caliphornia is in similar shape. The once venerable University of Caliphornia in Bezerkeley helped orchestrate massive scientific fraud in the arena of bio fuels and low carbon transportation fuels. The Caliphornia Public Utilities Commission is owned by the utilities, the Bloomdogglers, and the green hypers. This commission cannot even report the results of their billion dollar bloomdoggle in self generation of electricity. The only way we will ever get the rule of law is to start getting the rule of the laws of thermodynamics and letting science dictate energy policy. Sadly I have to say there is a dearth of science in any of the departments (federal, state or local) that help set energy and environmental policy. We are probably far worse off than any time since the middle-ages in concocting false science to suit the ruling class. The populace is probably as ignorant of science as folks living under the rule of Pope Paul V.
If only billions of people read Greenexplored.com and stopped watching the Kardasians we may get cars that dash at 50 miles per gallons instead of fakes like Fisker. Sadly people prefer Kim and green hype to science. My comfort is that thermodynamics has prevailed since the big bang and will continue to prevail until the end of the universe. I just won’t be around to see the end of the universe unless of course the deal with Iran goes through. Iran may pretend they want green electrons from uranium, my science tells me otherwise. I heard back from the North Carolina DNER and they said they have contacted Apple to find out what chemicals are in the Desulfurization Bed Canisters. I also asked them to investigate the chemicals in the spent fuel cell stacks that require periodic replacement. I am very hopeful that Apple will disclose this so we solve the mystery of what Bloom creates and removes as far as solid waste from their fuel cells. I am certain that Apple also wishes to know what wastes are being created in your facility. In searching for the Air Permit for the 50 Bloom Coffins at the Apple North Carolina data center, I stumbled on the one and only air permit issued for the site. There is no air permit for the Bloom coffins, just an air permit for 44 massive diesel backup generators with a capacity of 108,800 kilowatts. These diesel backup generators could power 60,000 to 80,000 homes. I have asked Lisa Jackson, VP of Environmental Affairs to respond. It is interesting that Apple claims they run the data center entirely with renewable power with 40,000 kw of PV and 10,000 of Bloom Coffins for a total of 50,000 kw of intermittent generation. Yes the Bloom Coffins have an approximate 10% downtime and the PV have 80% downtime. The site needs 108,800 kw of standby diesel generation. Something does not add up. 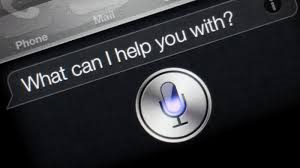 Let's call Siri, she will have the answer. Siri is located in the data center in Maiden North Carolina and we know diesel helps keep Siri alive. Perhaps Siri can tell us all how green the Apple is??? I found out from the North Carolina DENR that there was no air permit for the 50 Bloom Cells. There is however an air permit for 44 diesel standby power generators that have a total capacity of 108,800 kilowatts. Can you please opine on why Apple is so reliant on diesel for backup power? Can you also opine on why there is no air permit for the Bloom Fuel Cells? I wrote an email to Ms. Lisa Jackson who heads Apple's environmental efforts. Ms. Jackson like me has a MS in Chemical Engineering so she has no excuse and cannot plead the dumb defense. Before joining Al Gore at Apple, she headed the US EPA for Mr. Obama and left with quite a bit of controversy for having a second email account at the EPA under the Name of Richard Windsor. Here is the email I wrote her. I am an award winning journalist and chemical engineer and this email is super important to the good governance of Apple. As you ran the US EPA you are well aware of the the federal requirements for hazardous solid waste management. Apple has contracted with Bloom Energy for 10 MW of Fuel Cells at your Maiden NC site. This is an installation of 50 of the ES 5700 servers. The natural gas in the area is delivered via pipelines owned by Piedmont Natural Gas and has a sulfur content of approximately 10 parts per million by volume. The Bloom fuel cells have by Bloom's own admission desulfurization bed canisters that must remove sulfur to parts per billion to prevent poisoning of the catalysts in the fuel stack. Bloom admitted to Breitbart (link below) to removing the desulfurization bed canisters from client sites and hauling these sulfur laden canisters elsewhere. Bloom's patents reveal the use a cobalt catalyst to convert all sulfur compounds in the incoming gas to hydrogen sulfide and then react the hydrogen sulfide with zinc oxide to remove the sulfur. The result is a canister with a desulfurization bed that has cobalt and zinc sulfide. This implies the solid waste is hazardous. This implies that Apple is therefore the generator of solid waste containing sulfur that is probably hazardous. The quantity of the solid waste with sulfur could well be over 10 tons per year based on the total mass of the entire desulfurization bed canister and how many fuel cells are in operation at your Maiden NC site. I have not been able to find permits for the solid waste with sulfur, nor manifests for the removal of the solid waste with sulfur. It could be that Apple did permit this stream of waste and if it did please let me know. I could be that Bloom never told Apple of this stream of waste and if this is news to Apple please let me know. What is certain is the stream of waste that is quite large and contains sulfur compounds and it does exist and Bloom handles the waste stream by their own admission. You should also note that NBC Bay Area Investigates did a piece on greenwashing by Bloom. Their claimed CO2 savings are not always achieved in real operation. The link below is the video of that investigative report. I have reported the sulfur waste from Bloom Fuel Cells to the US EPA for three sites. These are AT&T sites (AT&T is Bloom's largest non utility customer), the Red Lion Delmarva Power site in Delaware (Bloom's largest site), and AC Transit in Oakland California. I have not yet reported the Apple Maiden NC site as I look forward to hearing from you. I sent the email along to Huffman and Levine who "represent" me and noted that they had protected Al Gore in the Sulfur BLOOMDOGGLE. I wonder is Ms. Jackson will protect Al Gore as he sits on the board of directors of Apple. There is no doubt she is an operative, but she will have a hard time hiding the solid waste with sulfur there in Maiden North Carolina. Hillary will announce her candidacy tomorrow. Ms. Jackson phony email address was not on a private server but at the EPA. I have not found any connection of the Clintons to the BLOOMDOGGLE unless of course Al Gore sold the Clintons a Bloom 200 kw server to serve the house and IT system there at 15 Old House Lane, Chappaqua, NY 10514. I reported that Tesla Motors is on the gravy train to extract lots of money from electricity rate payers in California that our disgraced CPUC doles out under the Self Generation Incentive Program (SGIP). I reported that Tesla has asked for $143,603,293.76 for 83,433.53 kw of battery storage under the SGIP. Tesla or their agent Solar City claimed they will spend a total of $262,658,673 for these fully installed power storage unit at homes, offices, stores, and even the Government. This equals a unit installed cost of $3,148.12 per kw. Now the zinger. Let’s say the systems have an eight year life and let’s pretend that money has no time value to earn interest or profits. The amortized value per year of the power storage systems is $393.51 per kw per year (equals $3,148.12 divide 8). Let’s assume that the batteries are cycled such that 400 kwh of power are charged and discharged each year (400 cycles a year 3,200 cycles in 8 years) into the grid or taken from the grid. This is a cost of 98 cents per kwh just to amortize the storage system without interest or profit. Being kind let's assume the storage can be cycled 800 times a year for a total of 6,400 cycles over their life. Even then this adds 49 cents per kwh without interest or profit. Simply put the idea is lunacy and only flies because the CPUC gives away so much money paid by poor and middle class ratepayers to support the gangrene idea. I have told the CPUC that they are again not looking out for the interests of the people they are mandated to protect. The green press and the business press are all excited that Elon Musk said he would reveal his new business. 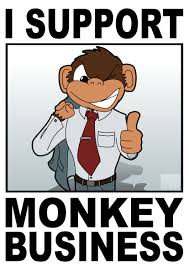 If the business is this battery storage of grid power nonsense then we know that he is up to Monkey Business with the CPUC. Marilyn Monroe, Cary Grant, Charles Coburn, and Ginger Rodgers once starred in a movie titled Monkey Business. Elon Musk, Jerry, Brown and the full CPUC are starring in the remake. The original version was a comedy the remake is a tragedy!